According to statistics and analysis, in all kinds of industrial equipment injury accidents, punch press equipment has the largest proportion of injuries. The serious injury accidents caused by punching operations usually account for about 50% of the total number of serious injuries. Therefore, the safety knowledge that should be paid attention to in punching press is particularly important. 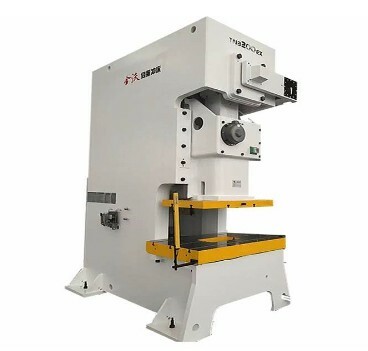 Most of the punching machines are mainly mechanical transmission, which is characterized by fast travel speed, several times to hundreds of times per minute. At present, most enterprises still use manual operation instead of automatic stamping manipulator. The operator is prone to fatigue in the case of simple, frequent and continuous operation. Once the operation is wrong, the material is not allowed and the mold is displaced, it is possible to break the finger and other injury accidents. 1, improve the process, mold and operation mode to achieve manual operation outside the mold, such as the use of stamping manipulator can avoid these problems. For mass production operations, these punching manipulator can not only guarantee the safety of the punching operator, but also greatly improve the production efficiency. This is the development direction of stamping technology. The stamping production of small batch and variety is difficult to realize automation at present. The proper way is to use the tools of safety, less labor intensity and easy to use, so that the operation is more safe. 2, transformation of stamping equipment, improve production safety and reliability. At present, many old stamping equipment control system and electrical control system have many unsafe factors. If we continue to use the corresponding technical transformation to ensure the safety and reliability of the stamping equipment. 3. Installation of protective devices. Because of the small production volume, the safety protection device must be installed in the stamping operation which does not realize automation and can not use the safety stamping tool to prevent the damage caused by the operation error.